This deposition suite is conveniently located near the 50 and 80 freeways in the Campus Commons area near the California State University. 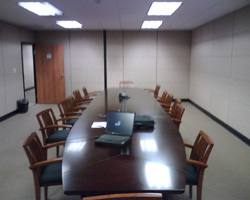 We have a great site with three deposition rooms that can accommodate up to 14 people. Hotels, restaurants and shopping are nearby.